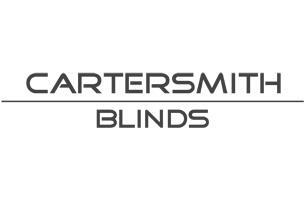 At Carter Smith Blinds we supply and install blinds, curtains, shutters, awnings and pergolas. We cover all of Dorset and have many designs, fabrics and styles to suit your needs whether it is any room in your home, hotel, restaurant or an office. From appartments to cottages to luxurious multi-million pound properties, Carter Smith Blinds will have a product for you, we only deal with long lasting quality products, however our prices are very fair, competitive and not extortionate. With our service you will also receive the very best in standards of quality with your installation from a friendly team, All of our products and services come with a minimum 2 years guarantee and flawless aftercare. The business has also had plenty of previous experience with home automation shading solutions, such as Lutron & Silent Gliss products - Also custom shapes and sizes that require templating. There's not a challenge we can't achieve. Appointments in your own home are available to your convenience, Daytime, Evenings & Weekends. Bournemouth, Poole, Christchurch, Ferndown, New forest, Dorchester, Ringwood, Swanage, Wareham, Weymouth Blandford and all surrounding areas.